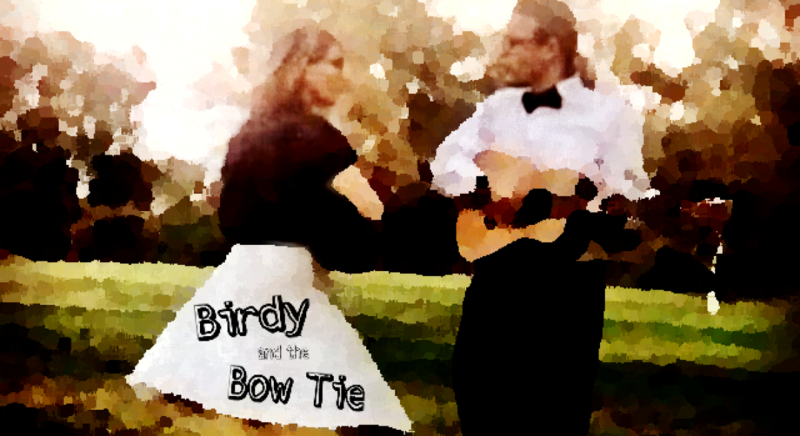 A little Birdy and the Bow Tie interview with San Diego News! Click here to see original article. It’s possible that when it comes to respect, the ukulele is the Rodney Dangerfield of musical instruments. Due to its small size, only having four strings and ease of play, to many folks it’s not much more than a toy, and a limited one at that. Of course in the right hands, such as with the duo of Birdy & The Bow Tie, who perform at the Te Mana Café on Oct. 15, ukulele can be played to virtuoso levels and is the perfect accompaniment for fun and sing-alongs. Comprised of Alison Marae and Wil Forbis, the evening will include a performance of vintage jazz tunes as well as an opportunity for ukulele enthusiasts to join in and strum along. The duo’s name is a nod to the instruments first heyday in the 1920s. For Marae the choice to play ukulele over an another instrument was pragmatic. “I started playing because a friend gave me a ukulele,” she recalled. “I play piano, but wanted something portable that I could accompany myself with when I sang. Marae considers the ukulele to be easy to play but as with anything, the more a player put into their craft, the more they will get out of it. “You can master anything with practice and patience. And more practice,” she said. The pair have also added some vintage ’50s and ’60s country to their repertoire as well. Marae is particularly pleased to see people of all ages coming together at their performances, especially when the audiences join in. “There is something really wonderful happening when everyone is playing and singing together. Its music therapy, it’s community, it’s friendships and it’s fun,” she said.